There is a certain amount of predictability in the India-Japan relationship. Instead of being a hindrance it is of huge help in a world that is in a state of flux due to the unpredictability injected by the Donald Trump-led US and Xi Jinping’s China. Narendra Modi and Shinzo Abe looked relaxed in each other’s company as the Indian prime minister spent more than 48 hours in Japan for the 13th annual bilateral summit, and that comfort reflected in the unflashy yet steady strengthening of ties. A quick look at the India-Japan Vision Statement, 2018, that was released after the summit-level meeting between the two sides on Monday, suggests that all key boxes have been ticked. While there has been no big-ticket, headline-grabbing announcement, a quiet scaling up of strategic cooperation is evident, sweetened by Japan’s extending of a line of credit to India through a $75 billion currency swap agreement. Such an agreement, that involves trading principal and interest payments on a loan made in one currency for principal and interest payments of a loan of equal value in another, offers better interest rates than direct borrowing. 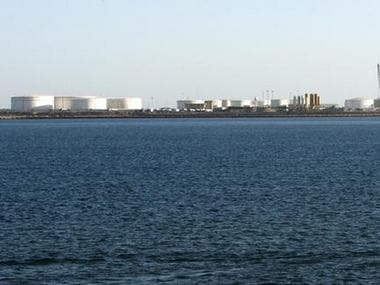 The Bilateral Swap Arrangement (BSA), a marker of greater financial and economic cooperation between the two sides, is expected to bring “greater stability to foreign exchange and capital markets in India” and “enable the agreed amount of foreign capital being available to India for use as and when need arises,” the Union Ministry of Finance said in a release. The BSA should help stabilise the rupee that is struggling to emerge out of a rough patch due to weak global cues and India’s steep import bill. Incidentally, during Abe’s recent trip to China, the first by a Japanese prime minister in seven years, both countries signed a three-year currency exchange arrangement worth up to $30 billion last Friday. One of the biggest challenges before Modi and Abe, both leaders of middle powers, is to synergise their shared interests to maintain the regional normative structure and ensure rule of law in a rapidly changing Indo-Pacific strategic landscape. This forms the greater logic behind military cooperation and security ties. 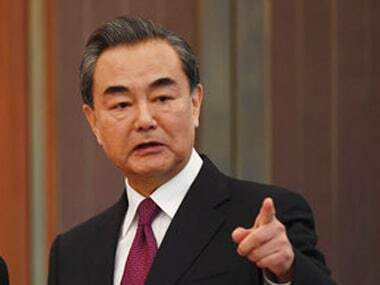 While China has been instrumental in pushing Japan and India closer, the challenge here for both nations is to tide over the indifference that exists towards each other’s immediate security environment. Instability in the Korean Peninsula does not hold as much significance for India as terrorism sponsored by Pakistan, and vice-versa. The vision statement welcomed the three inter-Korean Summits this year “as a step towards the comprehensive resolution of the outstanding issues” and stressed on “North Korea’s complete, verifiable, and irreversible dismantlement of all weapons of mass destruction and ballistic missiles of all ranges in accordance with the relevant United Nations Security Council resolutions (UNSCRs), and the importance of addressing concerns related to North Korea’s proliferation linkages.” Compared to the 2017 vision statement during Abe’s visit to India the language appears more optimistic. These concerns have been expressed in the 2017 document as well, and it remains to be seen how both nations transfer their respective urgencies into a joint agenda. If this poses a degree of difficulty, no such hesitations are visible on the Indo Pacific strategy where Japan and India’s strategic interests are a perfect match. The vision statement, that is less voluminous than the earlier edition, lays down the cards quite early and clearly. “India and Japan must endeavour to work together for a rules-based and inclusive world order that fosters trust and confidence by enhancing communication and connectivity to ensure rule of law, unimpeded trade and flow of people, technology and ideas for shared prosperity.” This paragraph is followed by one where the synergies are highlighted. The vision statement also emphasized on the centrality of ASEAN nations in Free and Open Indo-Pacific (FOIP) strategy that has been a recurring theme in both Modi and Abe’s speeches. In his Shangri-La dialogue, for example, Modi stressed on ASEAN’s role in “integrating the broader region”. 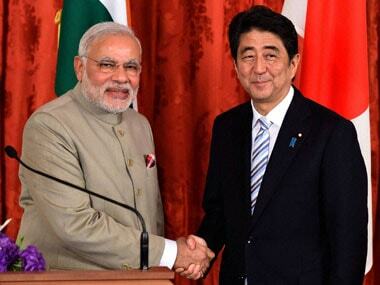 While this multilateralism comes naturally to Modi, Abe has been equally forthcoming. Investment in infrastructure is inextricably linked to the security strategy because China has used its signature Belt and Road Initiative to reshape Eurasia and Indo-Pacific by turning its infrastructure projects into tools of military expansionism. Therefore, to float an alternative vision for Indo-Pacific, India and Japan must offer infrastructure based on responsible and transparent debt-financing. ACSA is the formal name for LSA that India already has in place with countries such as the US, France and Singapore. 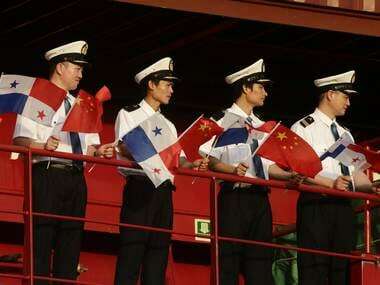 While ACSA may enable Indian warships to access the Japanese military bases, Japanese navy may similarly get access to Indian bases at Andaman and Nicobar Islands, among others. While the actual signing may still be some distance away, the beginning of negotiations (that Japanese envoy Kenji Hiramatsu had recently hinted at) is quite significant. The expansion of joint exercises to tri-services points to a more intense strategic embrace. Among the other highlights in security ties, Modi and Abe have agreed to add 2+2 dialogue between respective foreign and defence ministers to the existing mechanisms, in line with India’s similar such arrangement with the US. As expected, an agreement to expand maritime domain awareness (MDA) was also signed that is expected to enhance exchanges in the Indo-Pacific region and contribute towards regional peace and stability. The arrangement for “deeper cooperation between the Indian Navy and the Japan Maritime Self-Defense Force (JMSDF)” may enable both navies to share sensitive information on mutual areas of interest, such as the stealth entry of a Chinese submarine. Interestingly, both nations failed to reach an agreement on India’s purchase of US-2 amphibian aircraft — an issue that still remains unresolved. Analysts say that high unit cost and India’s navy’s apparent disinterest are possible reasons. 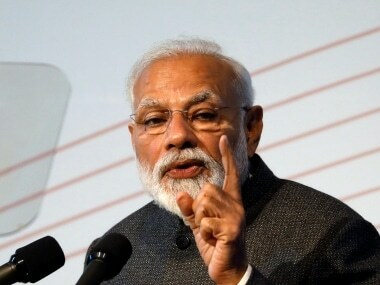 While addressing business leaders earlier in the day, Modi had said that 21st century won’t be Asia’s unless it sees a greater cooperation between India and Japan. As Asia’s biggest and largest democracies, both leaders have a responsibility to maintain the balance of power in the region. The building blocks for that cooperation are in place.